Now that Apple has offered an explanation as to why the iPhone X’s Face ID failed onstage (it didn’t, apparently), a company exec has addressed a few more questions regarding the security feature, including how to stop a thief from unlocking a stolen phone. Apple claims the reason the $999 device didn’t unlock on Tuesday was because backstage staff had accidentally activated Face ID while moving the iPhone X around before the show. As it didn’t recognize them, the handset requested a passcode, which reportedly happens after just two failed attempts. This has led to questions over just how easy it is for Face ID to be activated—would a thief or police officer find it easier to unlock someone’s iPhone X compared to a device that used only fingerprint security? Craig Federighi, Apple’s senior vice president of software engineering and the man who struggled with Face ID earlier this week, addressed these issues when replying to an email from CEO and freelance video editor Keith Krimbel. "What will prevent a thief from taking my phone, pointing it at my face, and running?" asked Krimbel. Reiterating what he said at Apple’s event, Federighi explained that as long as you don’t stare at the phone, it won’t unlock. The other solution, however, was something Apple had not previously revealed, and could help ensure you’re not somehow forced to look at the screen. 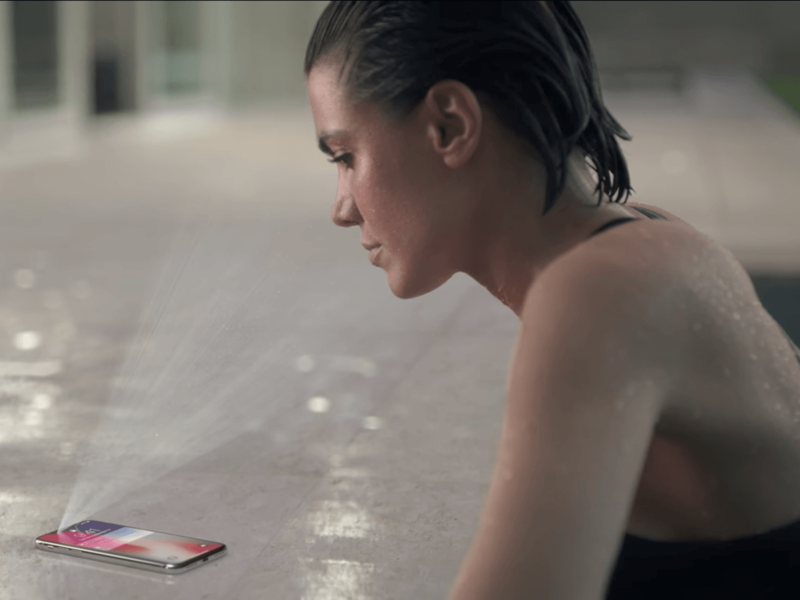 "If you grip the buttons on both sides of the phone when you hand it over, it will temporarily disable Face ID," said Federighi. Apple hasn’t responded to questions about this squeeze-to-lock function, so we don’t know how long it will stop Face ID from working. It’s unlikely that everyone will remember to disable the feature when they’re being robbed, but at least it’s there as an option. Another part of the letter asks whether Face ID functions correctly when a user is wearing sunglasses. "With most, but not all," explained Federighi. "Most sunglasses let through enough IR (Infra-red) light that Face ID can see your eyes even when the glasses appear to be opaque. It's really amazing!" And what if you can't squeeze the phone before you get mugged and they hold you down to unlock your phone? And unlike Charmin, it's probably not going to do very well for cleaning up the bum's! So what happens when you put the thing in a pair of tight fitting Jeans as the majority of users will inevitably do? What if there's a Desert Eagle behind the phone? Will it still unlock if the poor sap's face is a mask of terror? Well then they put it in a pocket closest to the groin and set vibration mode to flat out for as long as possible. andy06shake, JaredTheDragon and Reehahs like this. Indeed, as would be recommended against in the safety section of the user manual, to always keep the phone at distance from the body. Seriously! I mean how are people with ski masks and burqas supposed to use that feature? This has led to questions over just how easy it is for Face ID to be activated—would a thief or police officer find it easier to unlock someone’s iPhone X compared to a device that used only fingerprint security? Sure they handcuff you and then one officer holds your head still while the other points the phone at your face. Does any body make a cell phone that actually makes phone calls just by pressing the number buttons? Face ID, Fingerprint ID. It is a phone NOT a portable TSA airport scanner. What makes you think people can't force you to give your passcode? When Tyrone points his 9 at your head you will do anything he says. This really is a non-issue.